Introducing Monroe Font family! 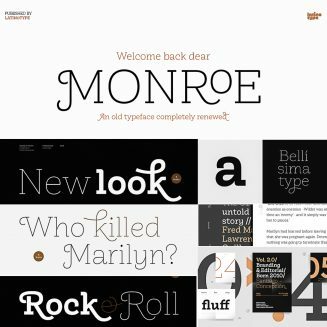 Monroe is a font family that can be given different uses for its wide variety of alternate types, which makes it an perfect font for titles, magazines, posters, logos, etc. Tags: Basic Font, Blackletter, decorative font, font family, old typeface, retro, serif, slab serif, stencil.